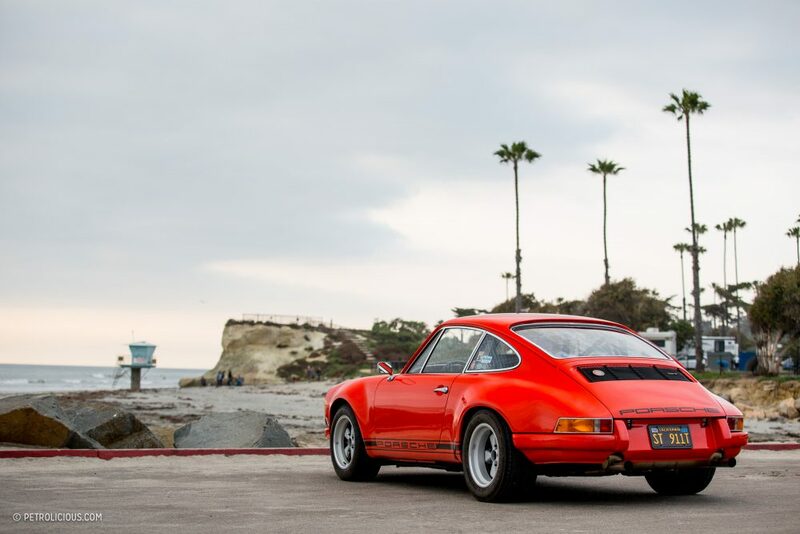 In the Porsche world, the 1973 Carrera RS is an icon in motorsports. 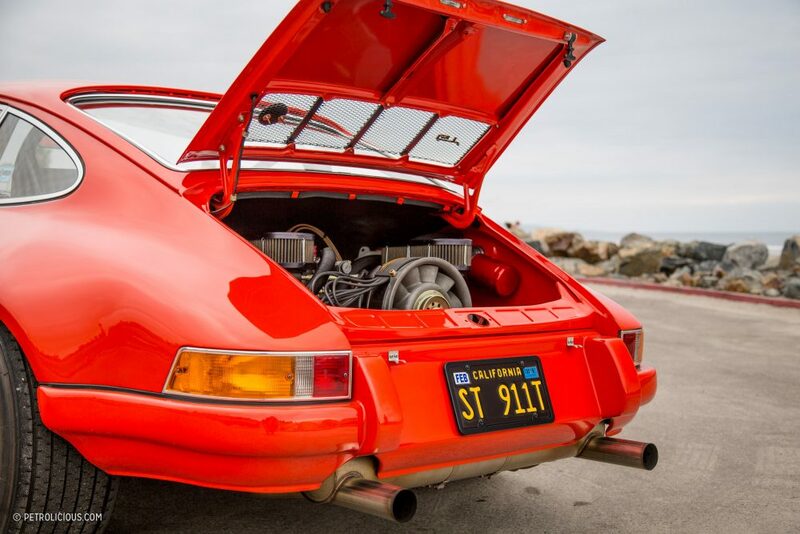 The model is famous for its homologation history, its 2.7 liter mechanically-fuel-injected 210-horsepower flat-six, and its bulging rear flares. 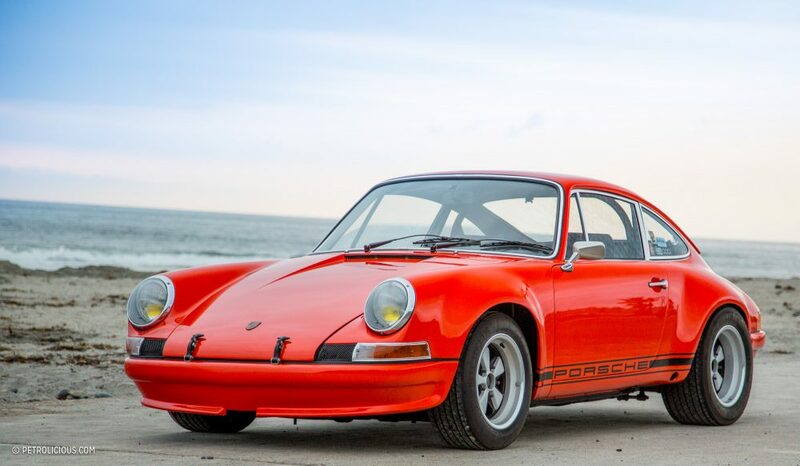 A little over 1,500 examples were built in both Touring and Lightweight packages, and in today’s money they typically fetch over half a million dollars. 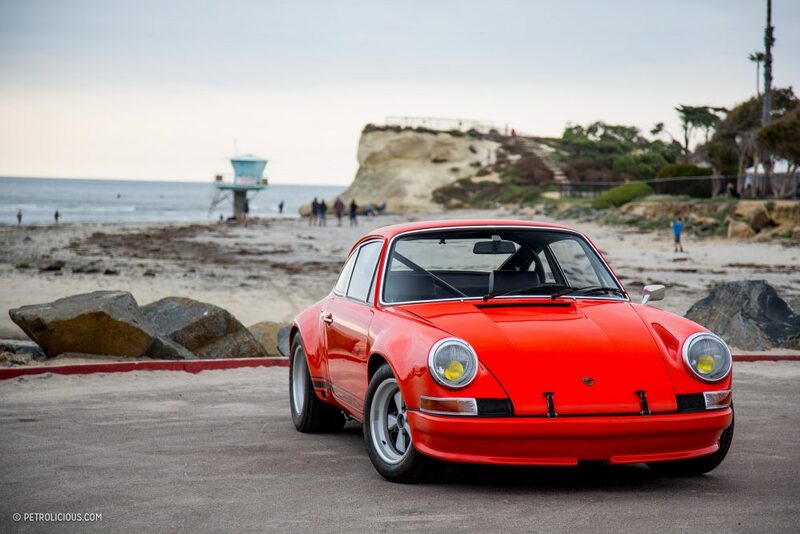 As a result, creating an RS tribute car is a fairly popular option for enthusiasts in the Porsche community willing to sacrifice a bit of original metal. 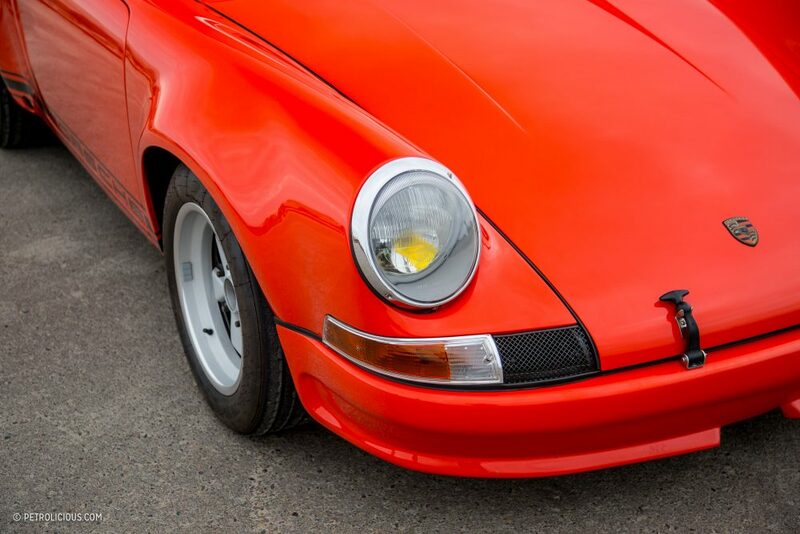 So, if you were looking for a way to stand out amongst the crowd and drive something a bit different in the 901 scene, would you really build another RS tribute? 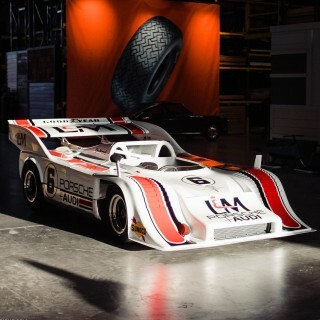 In 1972 Porsche built a race car that was more aggressive, and much rarer, than the 2.7 Carrera: the 911 ST. Porsche’s competition in Group 2 was getting stronger in the early ‘70s, and Alfa Romeo, BMW, and Ford’s Capris were starting to beat Porsche in the 2,500cc categories. 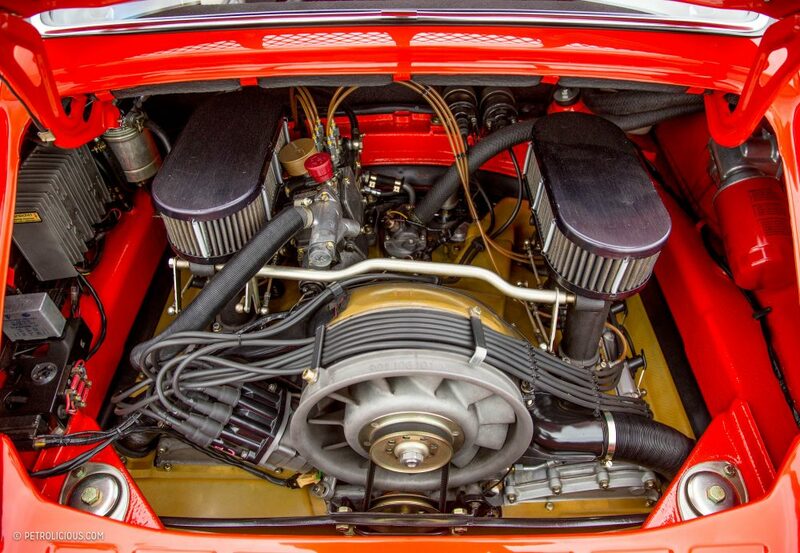 At the time Porsche was using a 2.2-liter engine which could only be bored out to 2,380cc, and this was not providing the power to win, so when in 1972 the capacity of the engine was increased to 2.4 liters in the 911S street cars, this meant the racing engines could be punched out to 2,490cc capable of producing around 270 horsepower. These STs also wore special widened front and rear fender flares that were significantly more aggressive than the rear flares of the 2.7 RS. Fitted with extra wide 15”x8” and 15”x9” lightweight wheels, the ST had a ton of mechanical grip going for it. 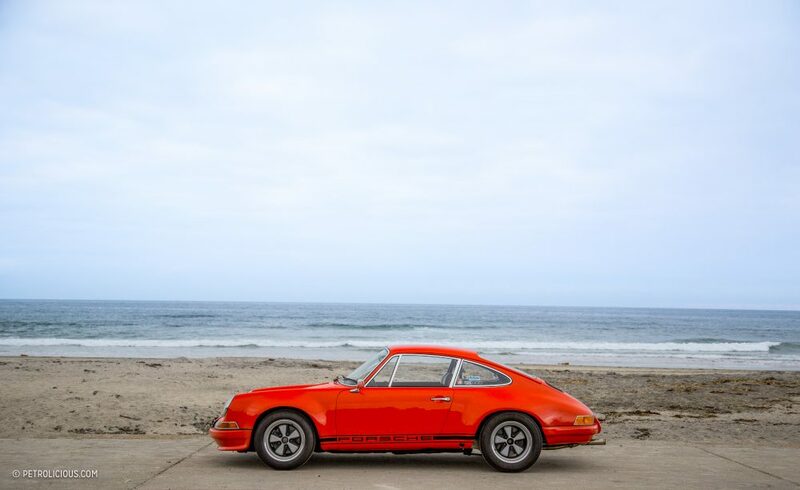 Only 24 known examples were built all told, and they were sold in a few different batches: a few made from thinner lightweight steel, a few based on standard 911 chassis and tubs, and a few more as a sort of kit package intended for motorsports undertaken by privateer racing teams—each ST is slightly different. 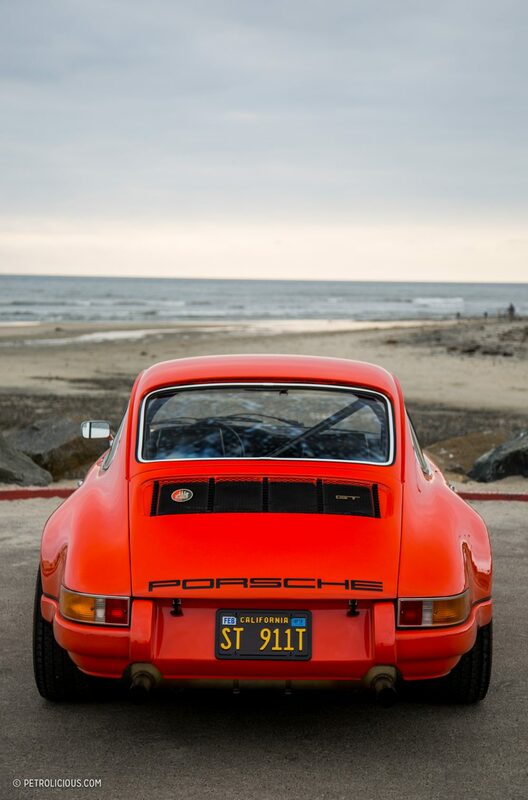 The owner of this stunning 1972 Tangerine 911 ST tribute car is Nick Psyllos. 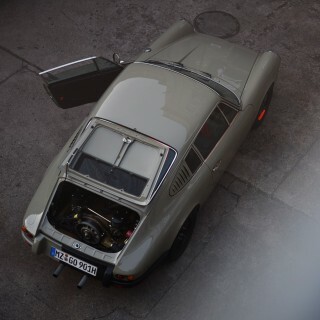 He’s been a Porsche owner since the age of 26 and he’s had 10 so far, many of which have been modified examples. 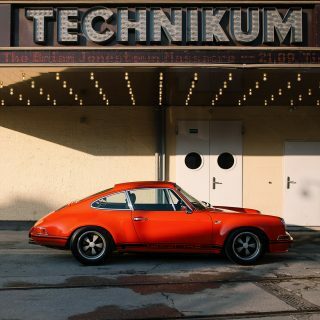 Perhaps it’s not surprising then that Psyllos has been a longtime member of the R Gruppe, an invite-only group for early 911 hot-rodders. 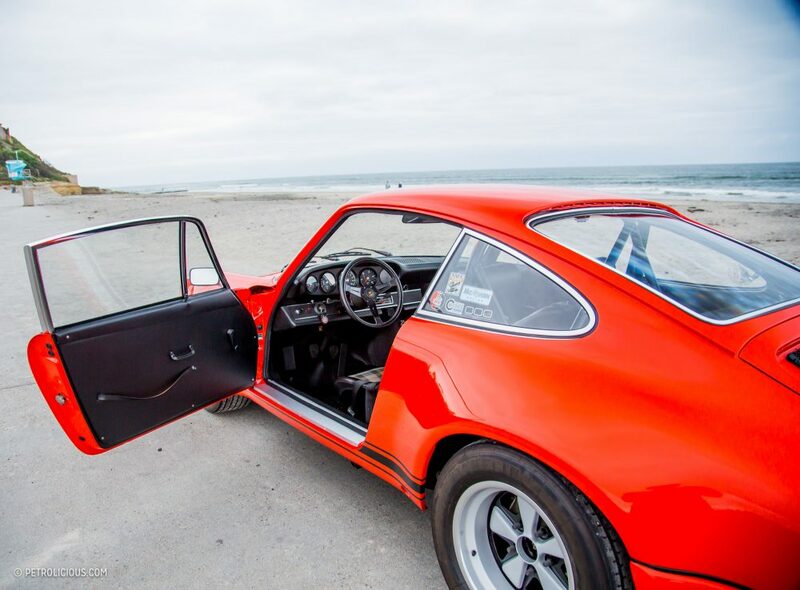 After thinking about building his perfect 911 ST project for years, he just needed the right car to come along to start the project in earnest. As luck would have it, a friend had been gathering parts for a 1972 ST build, and Psyllos was able to pick up where he’d left off. I recently sat down with Psyllos to discuss how he put the car in his head in his garage. 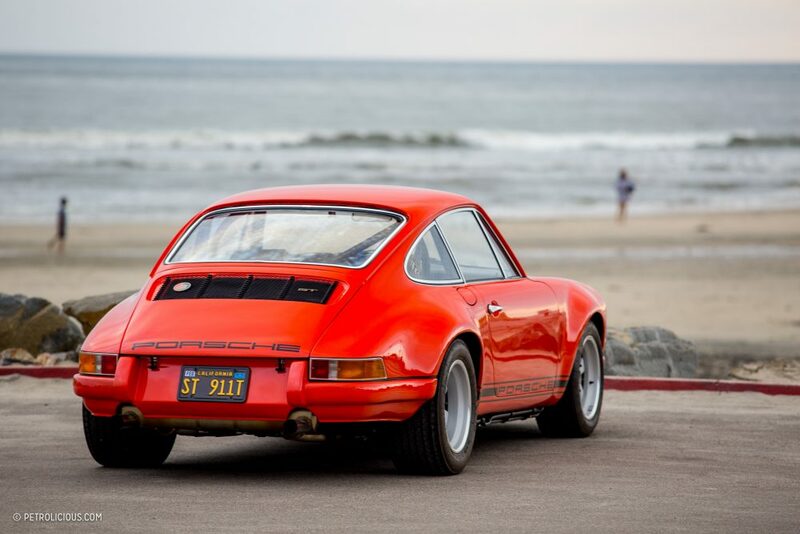 Patrick Stevenson: Can you tell us how you acquired this 911 and why you decided to build an ST out of it? 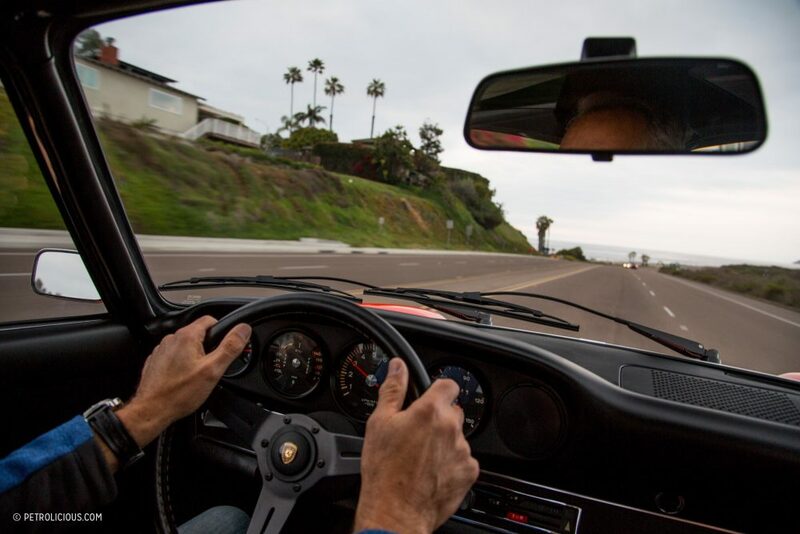 Nick Psyllos: Several years back my son Matthew and I had been auto-crossing a 914 I owned. 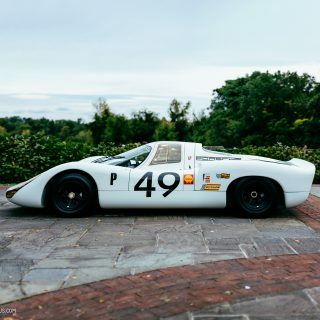 It was an original car, and we treated it a bit rudely by taking it to the track—it was a complete street car and really too nice to be doing what we did to it. As a result we started breaking parts and soon realized we would have been better off starting with a mutt to build a race car out of. So I decided to get rid of the 914 and do it. 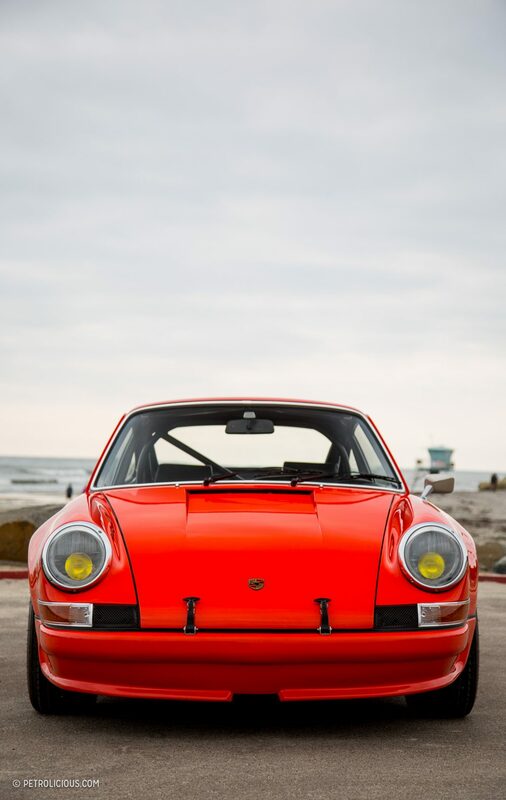 I’ve always been attracted to the early wide-body 911s, and have been a member of the R Gruppe for a while now too. 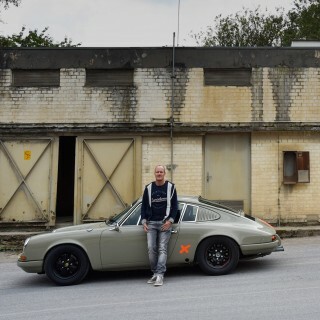 I wanted to build an R Gruppe car that my son and I could enjoy on the track, so I started looking for an early 911 to start. 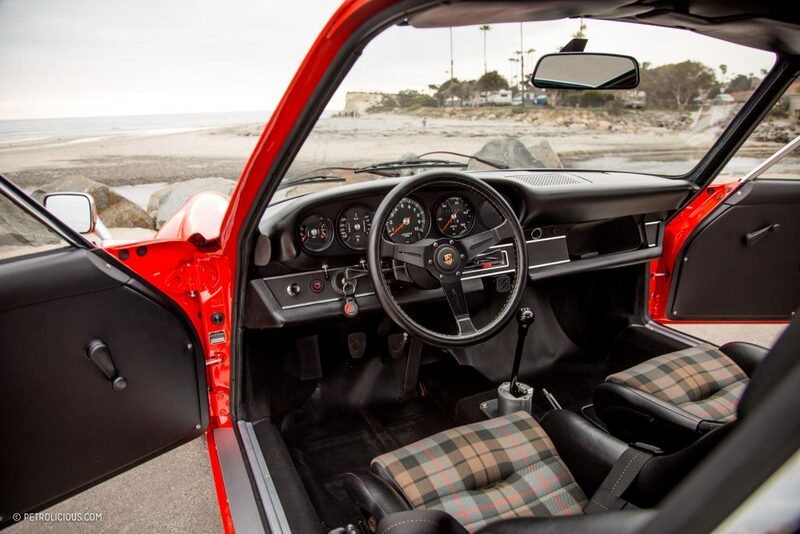 In a conversation with my friend Michael Eberhardt, who owns VintageSeats.com, he said he had exactly what I was looking for: a 1972 911 project he had been gathering parts for to build into an ST. This was perfect for me, because it was disassembled and had quite a few rare ST parts I needed for the build, including the 906 heads, which are factory twin-plug heads. He had the original eight- and nine-inch wheels, which are also quite hard to find. He also had the real metal front and rear flares, which at the time only Canfield Classics were building. In other words, the acquisition of a lot of the rare parts was already taken care of. 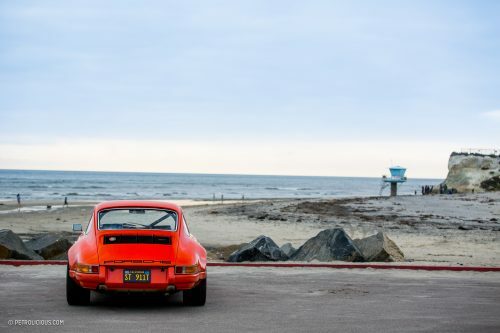 On top of that, it was a non-sunroof coupe, originally painted Tangerine, and it was a ’72—I really wanted a ’72 because of the placement of the oil tank. In addition to the facts, buying the parts from a friend was a great way to start the build. Patrick Stevenson: Sounds like you found the perfect starting point. Once you took possession of the pieces, how long did the process of fitting it all together take? 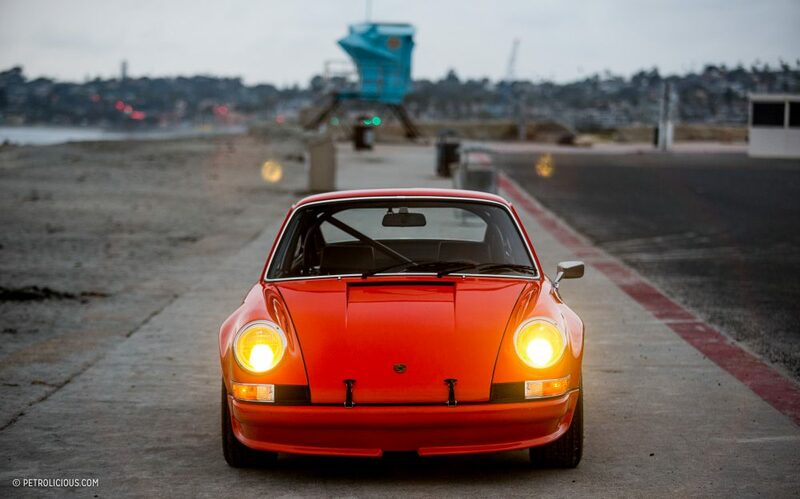 Nick Psyllos: From the time I purchased it to the time I got it on the road, four years. Gathering up the parts, engine, and shell took up most of the first year, as they were at three different shops on the east coast. I sent the body and suspension to my friend Scott Longballa in Oregon, and he did the metal- and paintwork. It took him around 15 months to do all that and install the suspension, brakes, and steering components as well. Then I took the car to the shop I have been going to for a long time, Personalized Autohaus, which is Wayne Baker’s operation. The mechanic that did all the work is my good friend, Glen Roberts. He assembled the car and went through the motor to be sure it was all up to high standard, and so all told it ending up being a complete build from scratch. Patrick Stevenson: A serious journey for the car, no doubt. 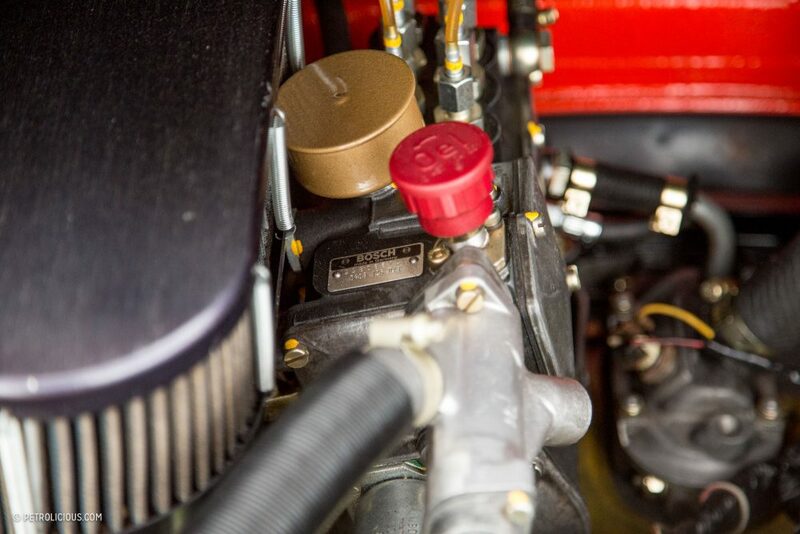 You had mentioned earlier that the motor started out as a 2.4-liter; what’s the displacement now? 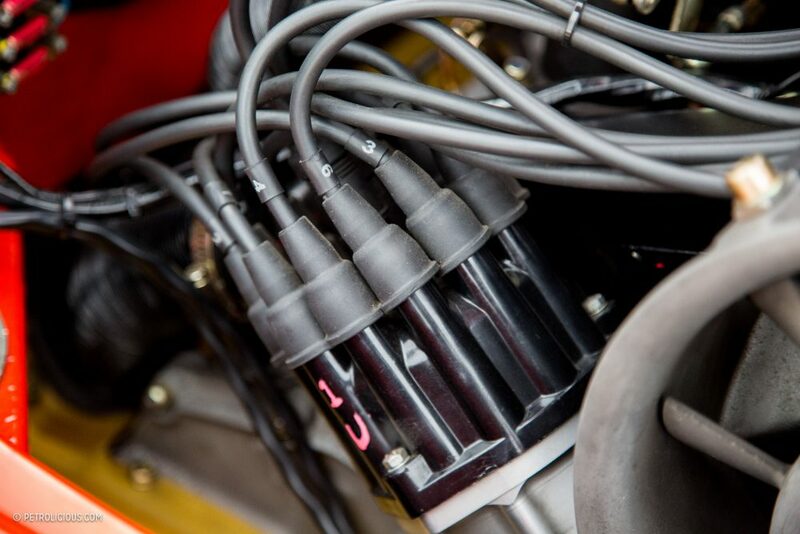 Nick Psyllos: It started as a 2.4 twin-plug MFI (mechanical fuel injection) motor and now it is closer to 2.5 liters. This is close to the top-spec for an original ST. One of the things I loved about the ST is that so many were sold, more or less, as a kit to privateers, so they were all unique in their own right. 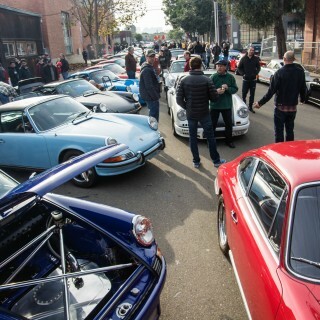 ST engines ranged from 2.2 to 2.5 liters, some were narrow-bodied and others had the large flares like my car. The factory even built two rally STs. 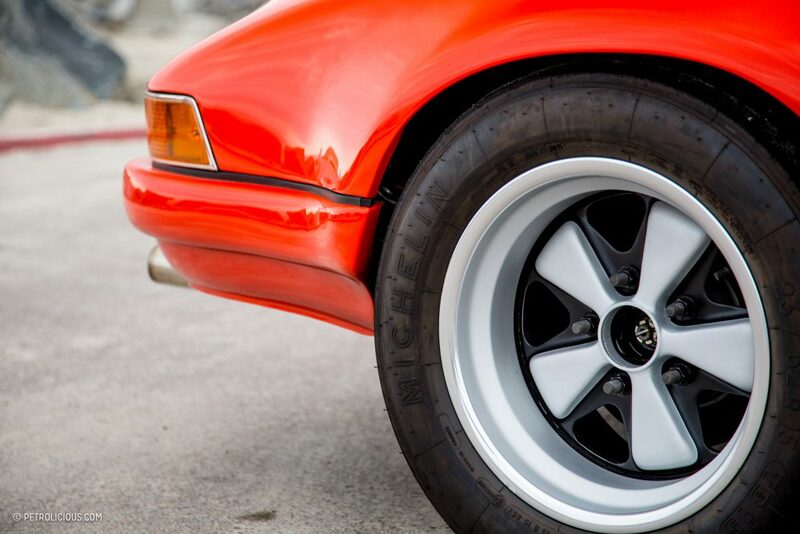 Unlike the Carrera RSs which were mostly all the same, building an ST tribute allowed me to be close to the original, while being able to add my own R Gruppe style. 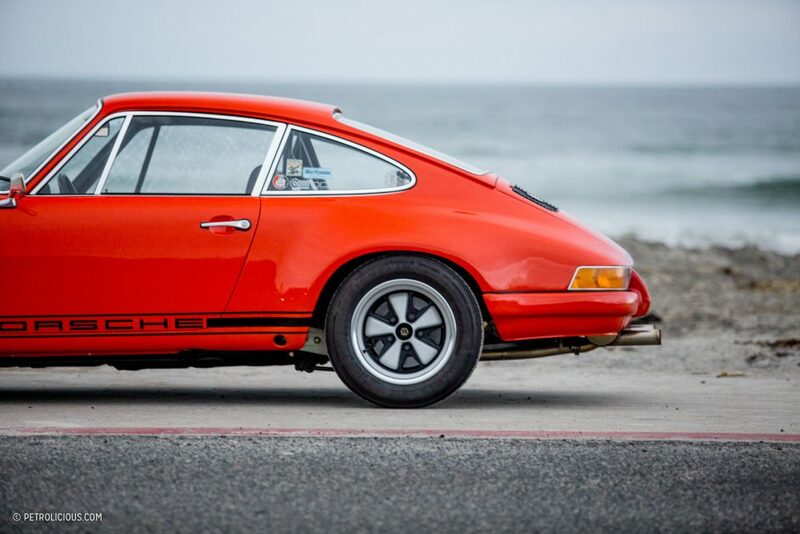 Patrick Stevenson: Speaking of style, you must tell me about those wheels and tires, they fill out the arches so well. 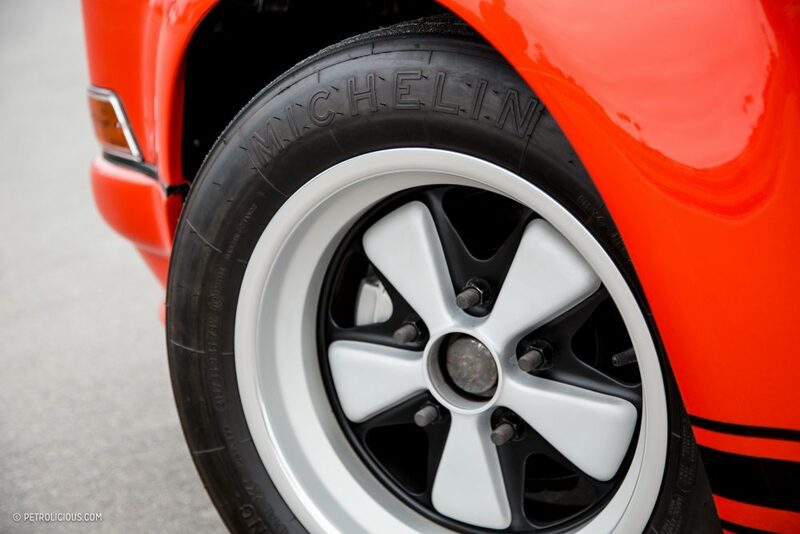 Nick Psyllos: They are original eight and nine-inch Fuchs wheels wearing Michelin TB15s sized 225/50/15 in the front and 275/50/15 in the rear. I wanted that period-correct bulging sidewall look to match the rest of the car. Patrick Stevenson: It seems like a lot of time went into making things correct to the era and philosophy of the ST. I mean your interior doesn’t even have a glove box door or a clock; can you take me through the interior modifications on your car? Nick Psyllos: Yes, well the ST was basically built to be as light as possible for motorsport. 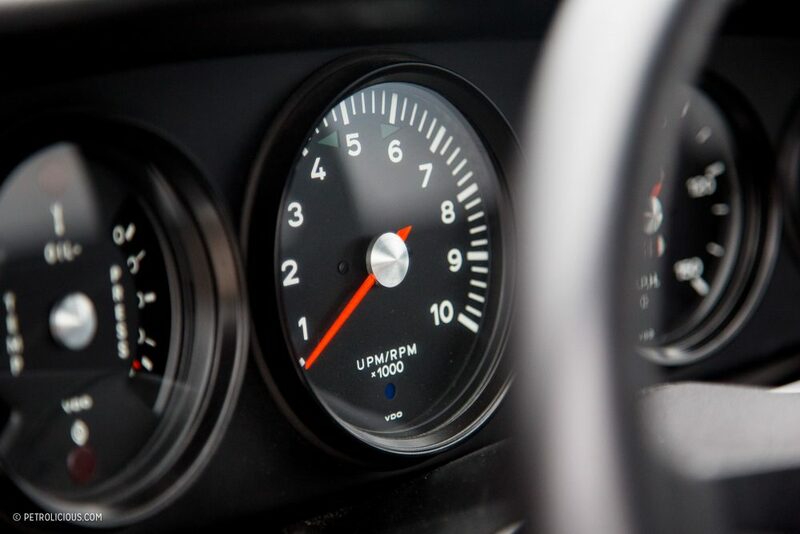 My car weighs 2,200lbs, and things like removing the glove box and clock were done in pursuit of dishing weight, like Porsche would have done from the factory. 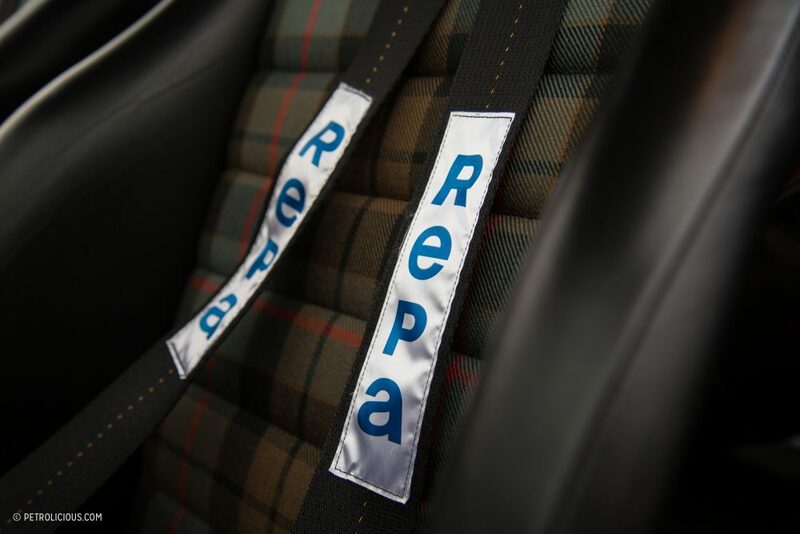 My car also has no sound deadening, is fitted with a period ST rear roll bar, has lightweight carpets and lightweight door panels. 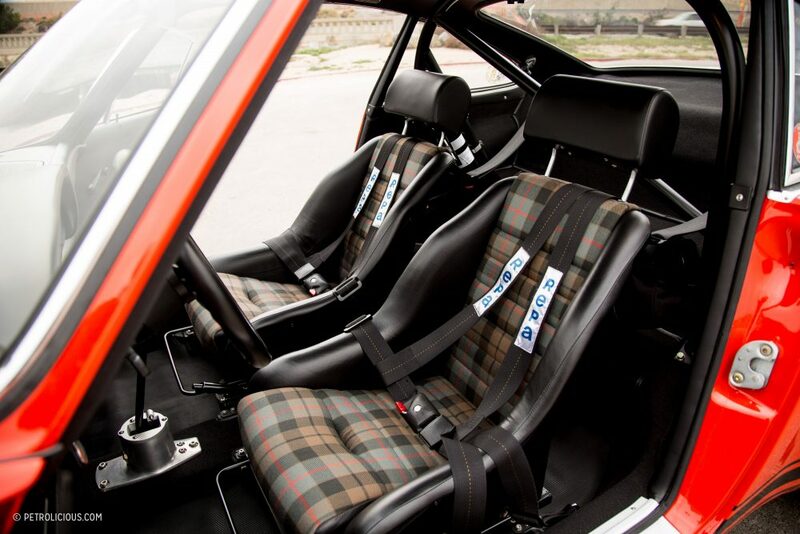 I also added a set of vintage Recaro-style bucket seats from my friend Michael Eberhardt at Vintage Seats. They’re covered in some nice Italian leather on the bolsters with a plaid pattern in wool for the centers. 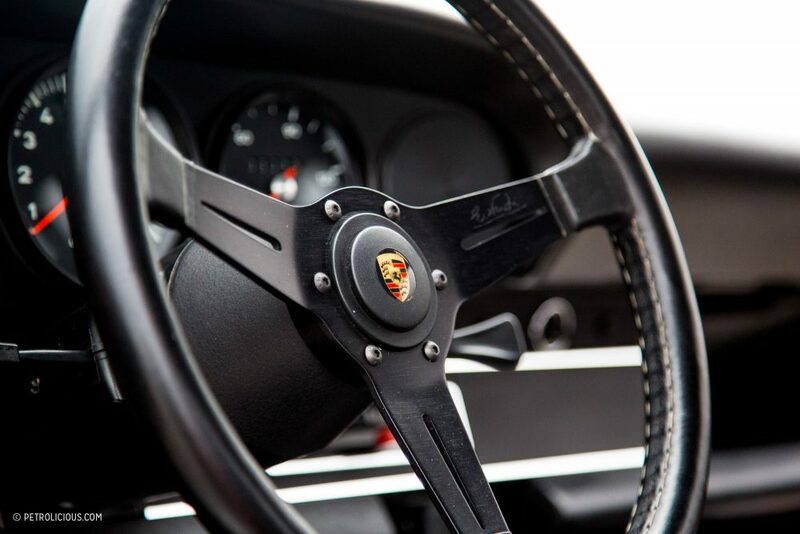 I also added an exposed Wevo short shifter and a Nardi Classic steering wheel. Besides the radio and glove box door, I also took out the stereo and ashtray like a real ST.
Patrick Stevenson: Your attention to the details is thorough, and it shows all over the car. I even noticed some differences in the front trunk area—what’s going on in the frunk? Nick Psyllos: That was actually one of the most challenging parts of the build. 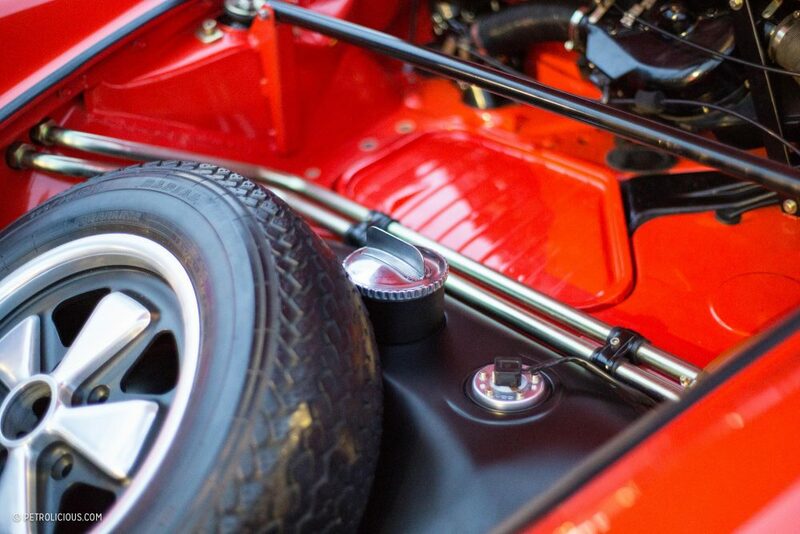 There are a pair of oil coolers in the front fenders, and in the trunk there are two metal cross-over pipes. These were very difficult to get fitted correctly. I am so happy we got it done properly though, as they look like jewelry in the trunk now. I also have a 100-liter fuel tank and a ST-style front strut brace up there, and I’m very happy with how it all came out. Patrick Stevenson: It certainly is a eye-catcher in gold against the Tangerine. Now that the project is done and the car is on the road, would you do it all over again? Nick Psyllos: In an instant! The build was my favorite part. Sure it’s great to have it on the road and to be able to enjoy it, but the build was a blast. I made so many friends and poured through the history of the ST to understand how to make my car match those standards. I enjoyed all the research and being a part of the community of guys making these amazing cars too. In fact, I want to build another in the future. 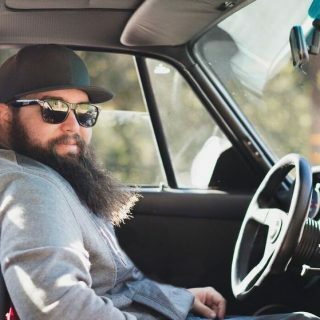 Although right now I am loving this one and my ’73 911 S.
Patrick Stevenson: Speaking of enjoying, what has been your favorite experience behind the wheel of the ST? Nick Psyllos: My first time taking it to the track. 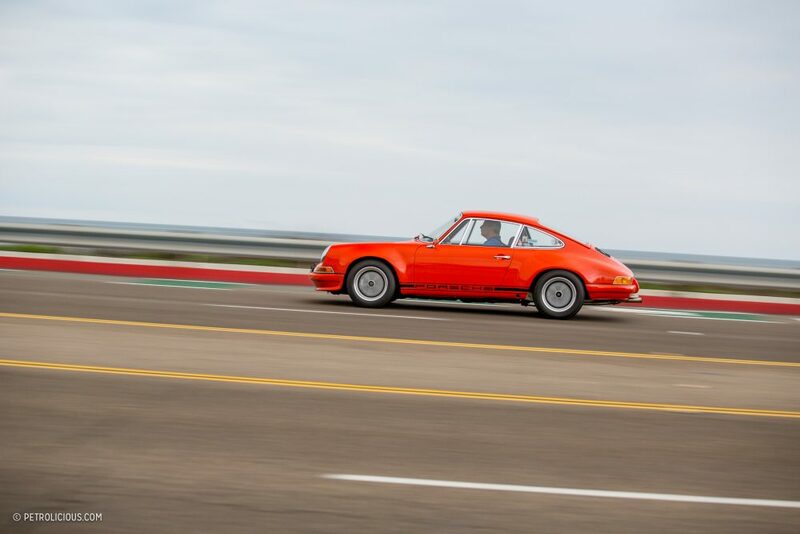 I went to a R Gruppe track day at Thunderhill with my wife and adult son. This was the first time my son had seen the car. It was awesome to toss him the keys and tell him to go have fun on track with it. It was also the first time my wife had experienced me driving on track. Throughout the day my son and I went out together helping each other get faster, and he recorded it all with GoPros to put together a video of both of our laps after the day. In fact we both got the exact same lap time! Those memories will be with me forever; that time with my son is priceless. Patrick Stevenson: Sounds like a journey of friends, family, and an incredible 911 ST as the result. 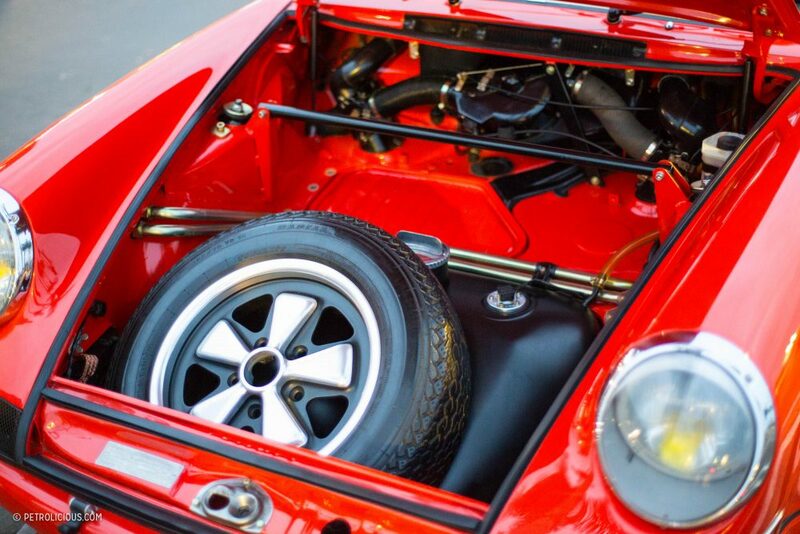 Thank you so much for sharing your car and your adventure of building it with us. Nick Psyllos: Anytime! Thank you for letting me share it. 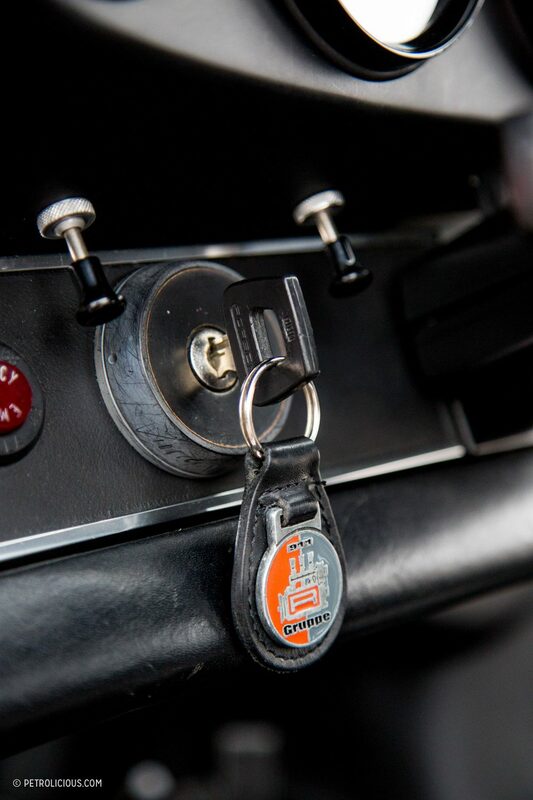 The ST has always been Porsche’s hidden gem of the 70’s. And this build is just amazing, topped by the best color ever. Can it get any better ? 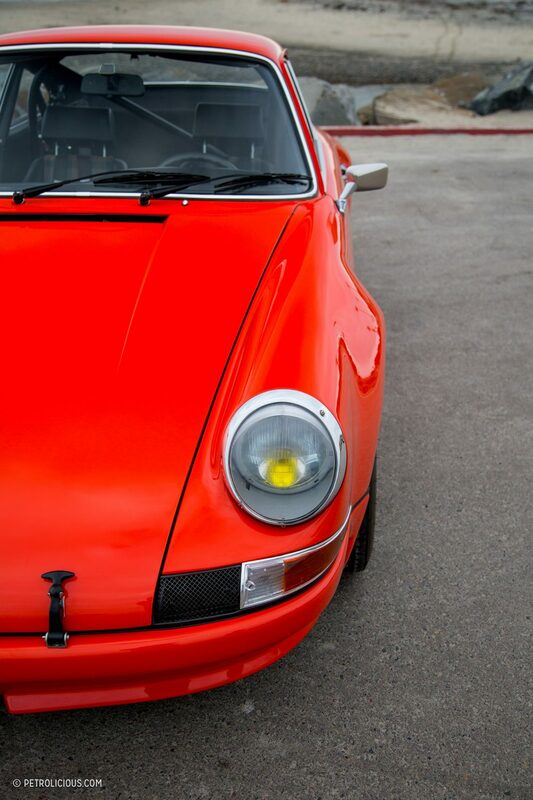 Trunk- or- Frunk … one eye popping likable restoration ! 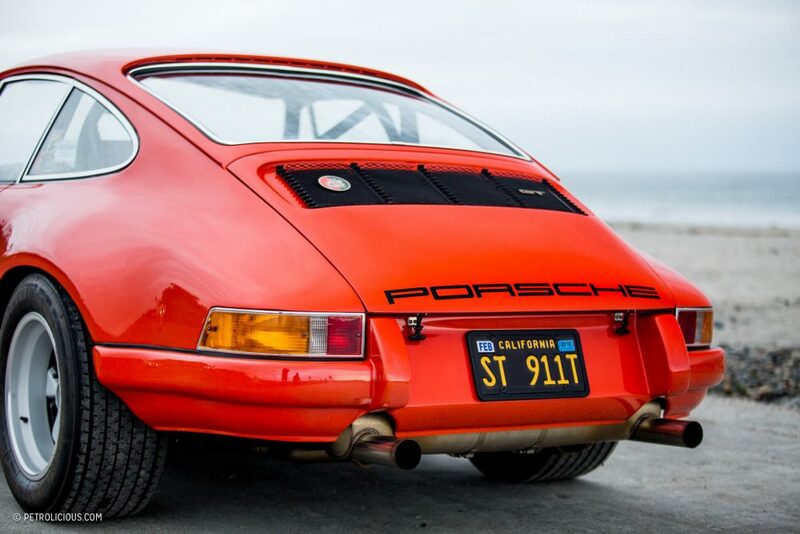 This is the finest 911 “build” I’ve ever seen. 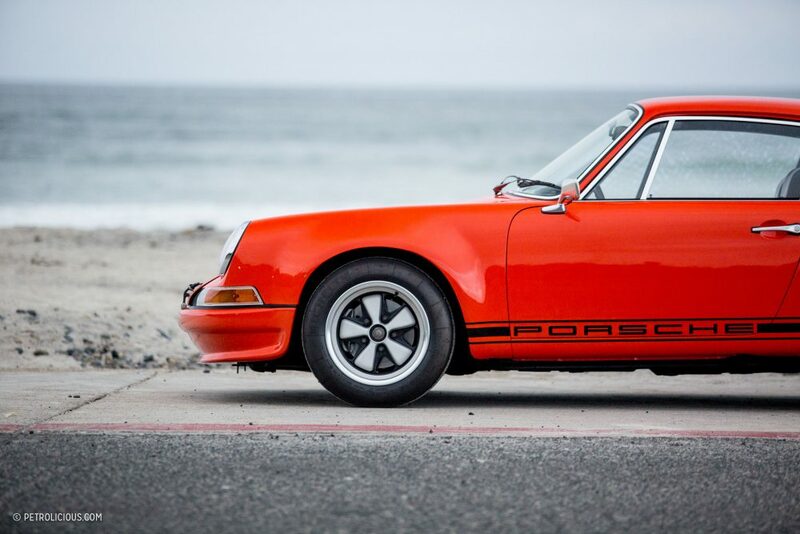 I’ve owned 911s since 1968, including a pair of Carrera 2.7 RSs, and I would be proud to have this car. It’s probably a better car than the one it seeks to emulate. Congratulations to the owner! 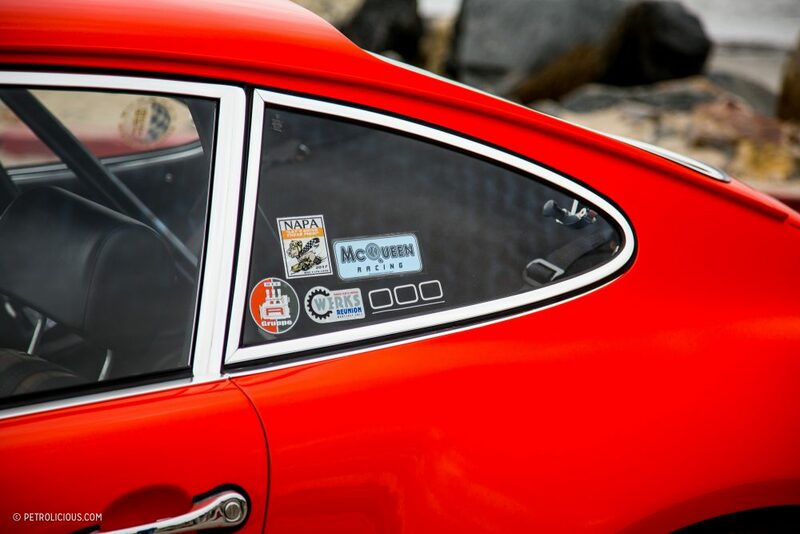 Thanks Patrick for a nice story/interview and some fine shots of Nick’s ST-inspired hotrod.